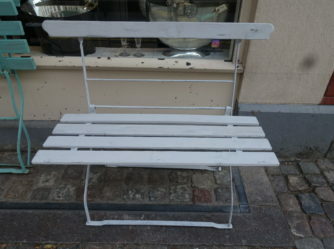 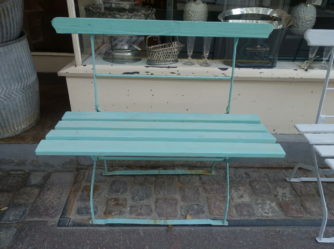 Add a rustic or classic touch with vintage garden furniture from France. 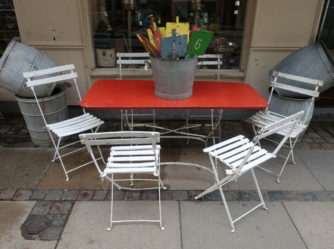 Fil de Fer’s selection has been carefully and thoughtfully chosen, and ranges from beautiful café tables, classic garden chairs, and rare industrial style metal park furniture. 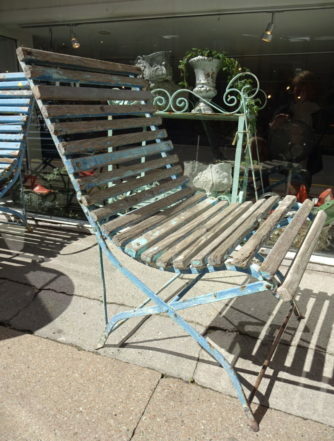 Dive in to see our choice of garden furnishing, and be inspired to create your own French oasis. 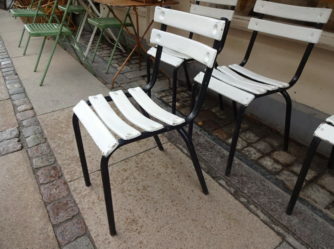 You can add your own of France touch to your garden, terrace, balcony or courtyard, with a charming French vintage café table or a pair of park chairs. 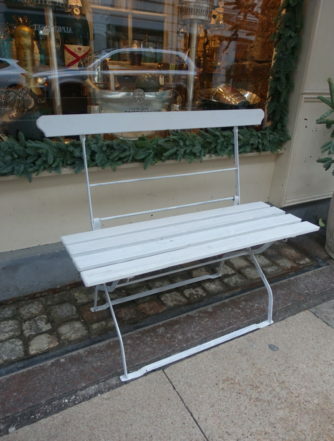 We have garden furniture which you would seldom find elsewhere at Fil de Fer. 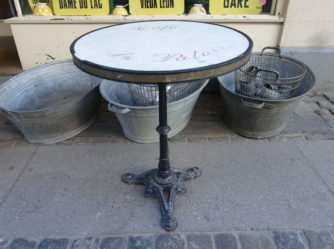 All of our items are hand picked, mostly from our French contacts we have built up through the years. 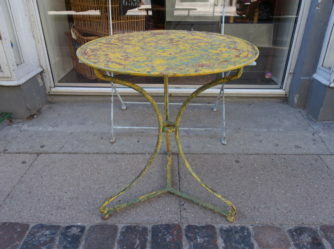 You can be certain of that perfect weathered patina, no matter whether the item is an antique café table or a couple of vintage metal park chairs. 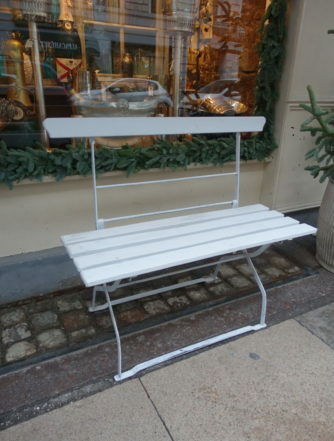 Browse our online webshop, or pop into our boutique – rest assured you will catch sight of something which you won’t be able to live without. 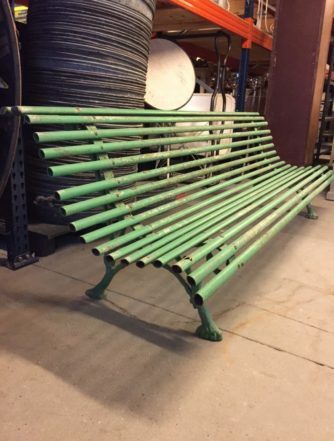 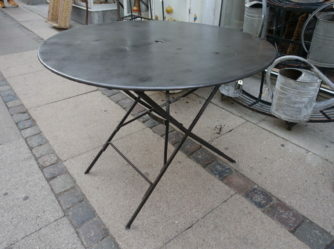 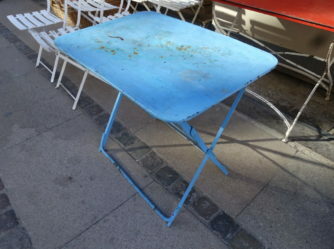 Could it be a small retro bistro table, and French children’s bench, some rare park chairs, or a unique garden table for your backyard? 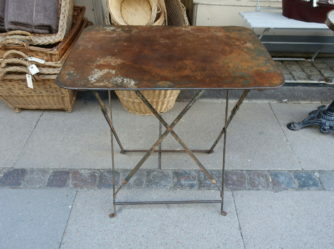 Our range of outdoor furnishing has beautiful patina and masses of soul, and this feeling is noticeable straight away. 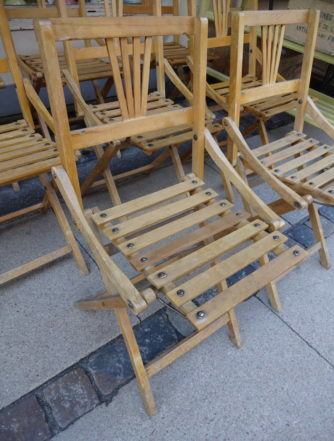 We have a wide and varied choice, and can guarantee you that there is antique outdoor furniture for you. 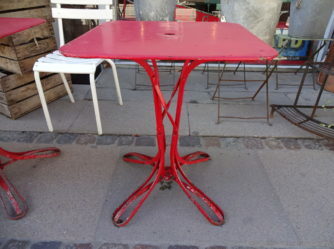 Sitting at a French café table with a light refreshment, and letting your thoughts wander is undeniably special. 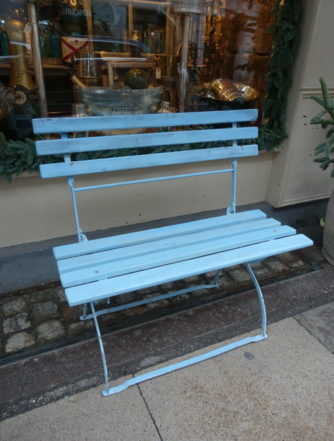 The same feeling comes over you when sitting on one of our antique benches or our rare park chairs. 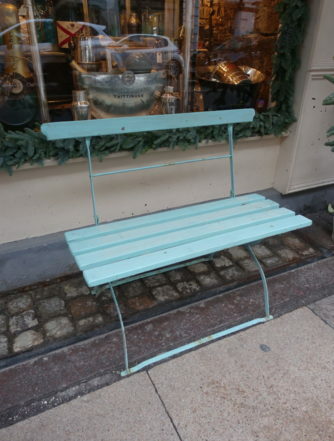 We truly do have a wonderful assortment of delightful vintage outdoor furnishing, with genuine patina from the changes of season over years. 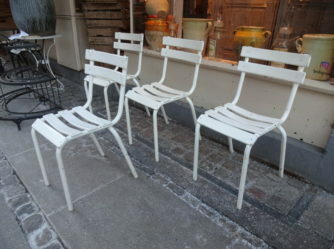 We have something for anyone, that is unless you prefer quick mass production furniture, because that’s the only thing we cannot manage to provide you with. 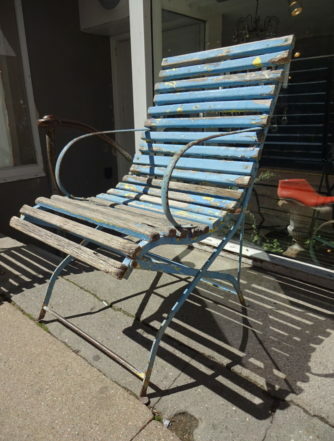 Who’s been sitting in my chair? 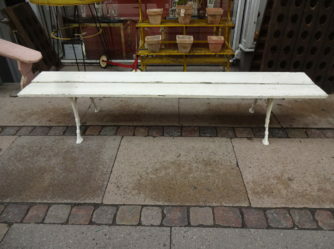 You can’t help but wonder who else once sat at your vintage bistro table, or read a newspaper years ago on one of Fil de Fer’s antique park benches. 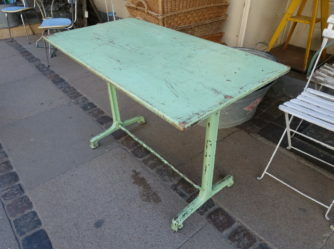 Many of our items have provenances from old French cafés, so who can know whether one of art history’s greats has eaten at your table, all the while sketching a future masterpiece on a napkin! 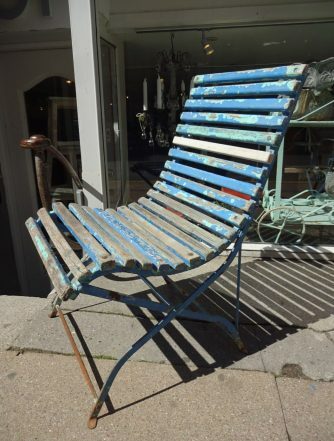 All of our antique outdoor furniture has a feel of a time gone by, so it’s hard not to get carried away and dream of France of yesteryear.